Two weeks ago the weather reached near the 50s and in Upstate New York, that is so refreshing after a long winter. Every year the girls and I go to our local library and I gather up any gardening books that look appealing and start planning my vegetable garden. This year I want to add some perennials as well since we have only lived here a couple years. 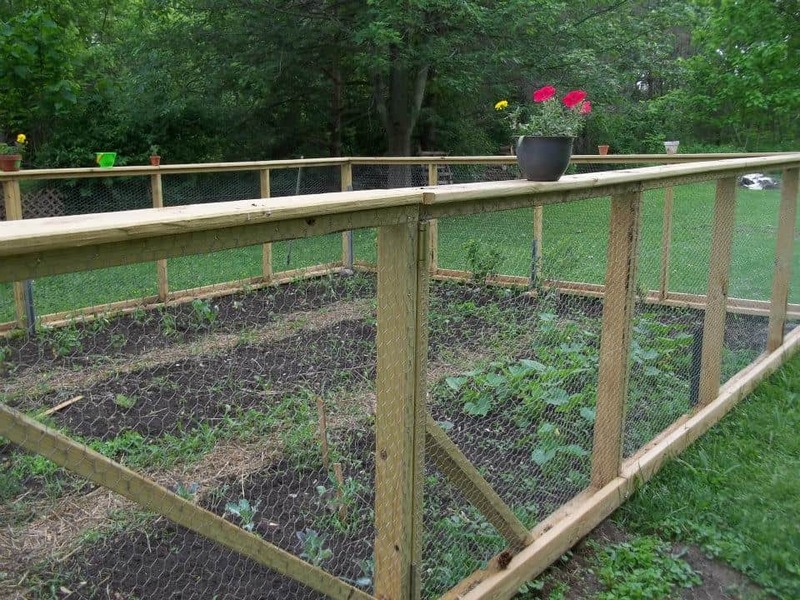 You know the slow progress of landscaping a yard, you want to add so many plants right away, but with a short growing season and a budget, I can only add so many each year. Starting seeds is an amazing process. I love sharing the experience of planting a seed and watching it grow to harvest. The best part is sharing the experience with your children. 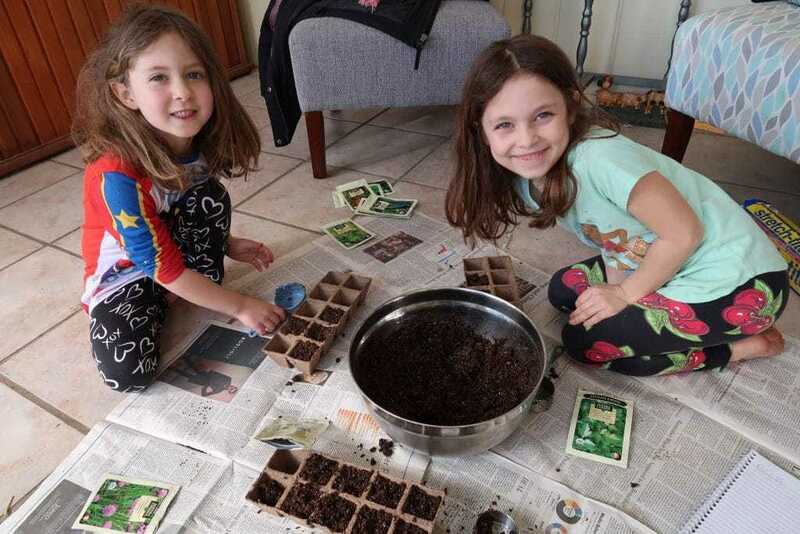 Now that my kids are five and seven we had a pretty smooth time starting our seeds. If you want to grow a variety of vegetables or even flowers starting seeds indoors is a great frugal way to do so. 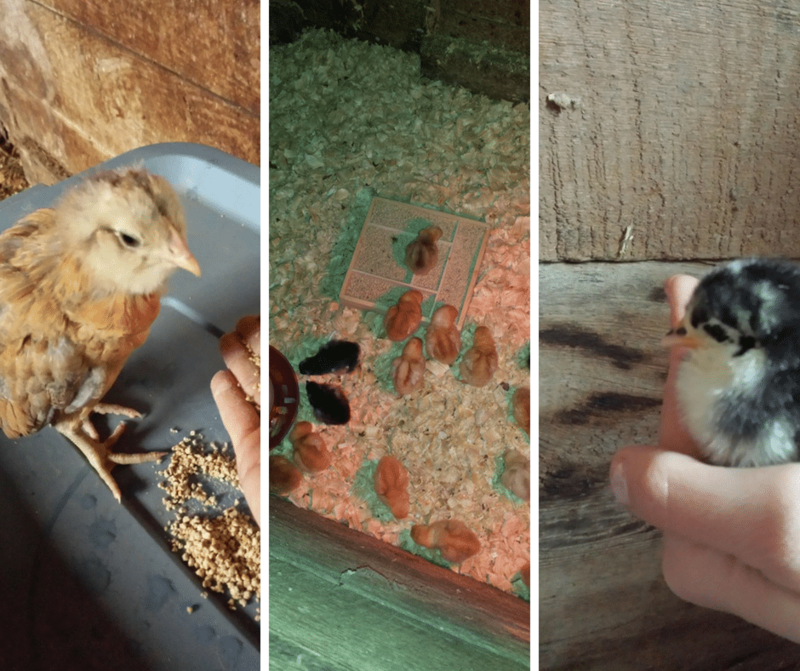 For me starting seeds indoors allows me to grow enough to sell on the road, feed my family and animals. Since we are getting a second mini pig in a couple weeks I knew I had to plant extra veggies this season. Every year I take advantage of Home Depot’s Buy One Get One Free sale. 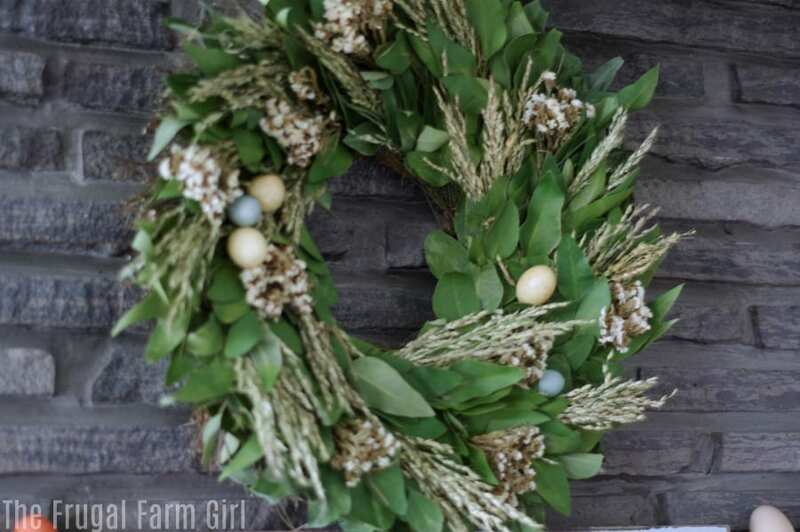 It usually starts the end of March or Early April. I have always had success with Burpees Organic Seeds. I buy my marigold seeds at Dollar Tree where they are usually 50¢ a pack. I love planting marigolds around my tomato plants in the garden. This year I got a head start because the winter feels never ending and BJ’s has two different Organic Seeds of Change seeds on sale. Each packet I got for $1.59 which is a great price. Most of these at other retailers are $3 or $4 a pack. I have had success with these seeds and there is a guarantee they will grow statement on these. Can’t go wrong there! Organic Seeds of Change seeds could be your best bet if it’s your first time starting seeds indoors. After starting seeds indoors for so many years now and through trial and error I see a better result with Burpee Organic Seeds and Organic Seeds of Change. Last year I missed the BOGO sale at Home Depot and opted for the cheap 50¢ packs. My garden did the worst ever in a long time. Of course, so many things can factor in, so I’m willing to try a couple packs again this year to really see if it’s the seeds or not. For us frugal folks, even spending $30 or $40 on seeds and they don’t take off makes us disappointed. Which is why I want to go with what I know has grown in my garden before well. 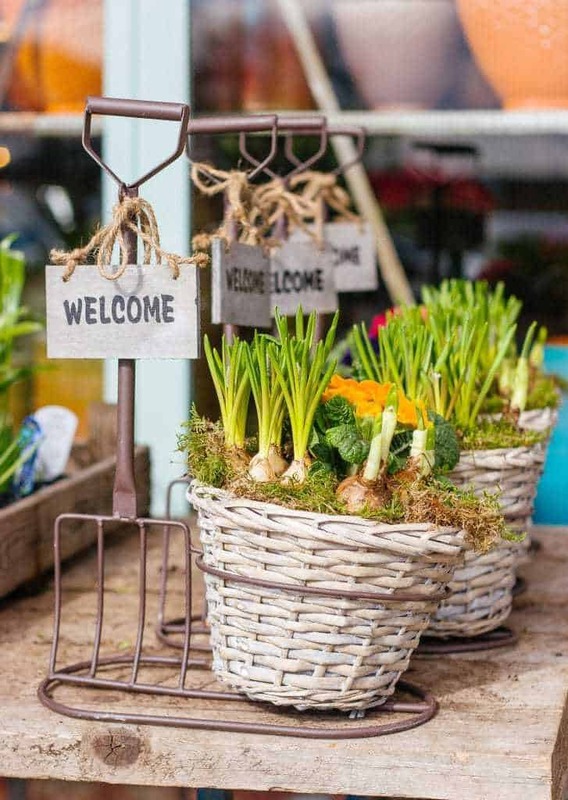 You will easily spend $3-$5 a plant at your local nursery or home improvement store. When you look at that cost to how many seeds you get in a pack for the same price, seeds will definitely save you money on your garden. You really do not need much to start seeds. You can spend as much or as little as you want. You don’t need anything fancy. This is the first year I started my seeds inside, literally inside. In the past, the kids and I always did it outside, but our winter is super cold and long this year. So we set down newspaper and filled up our seed cups. 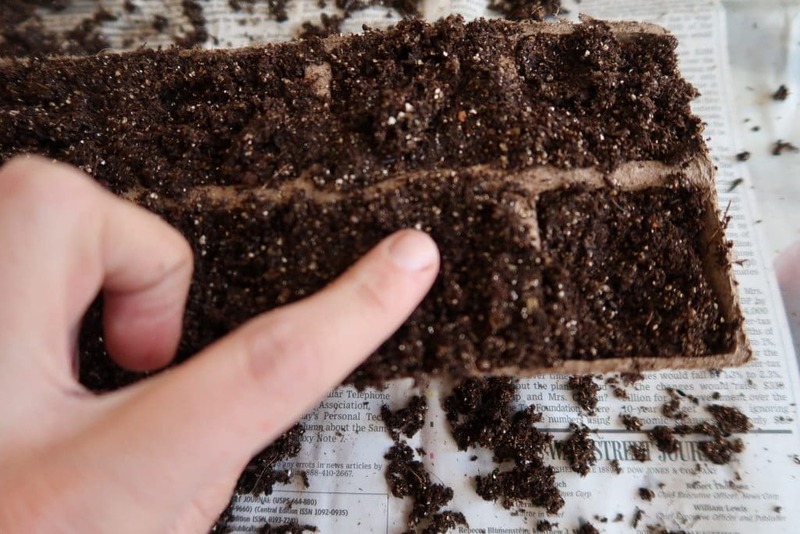 The soil is so important when it comes to starting seeds. You want a light soil rather than a heavy potting mix. 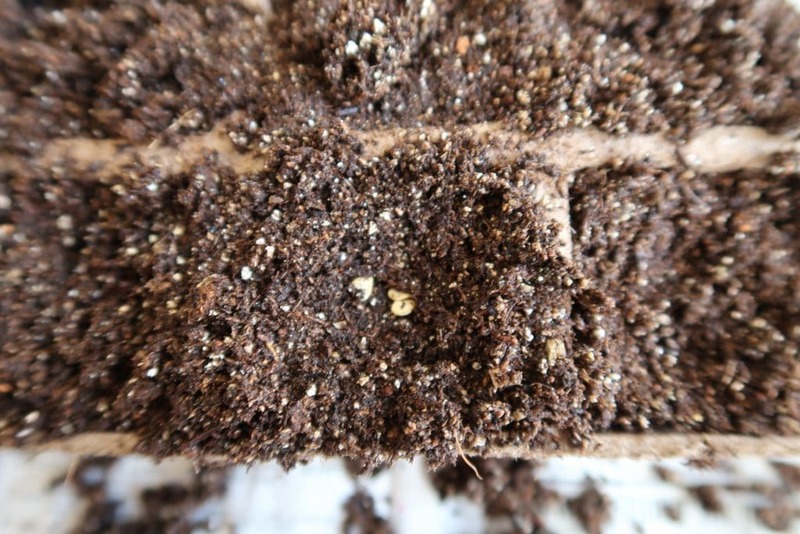 If you really want to save money you can try making your own seed starting soil mix here. 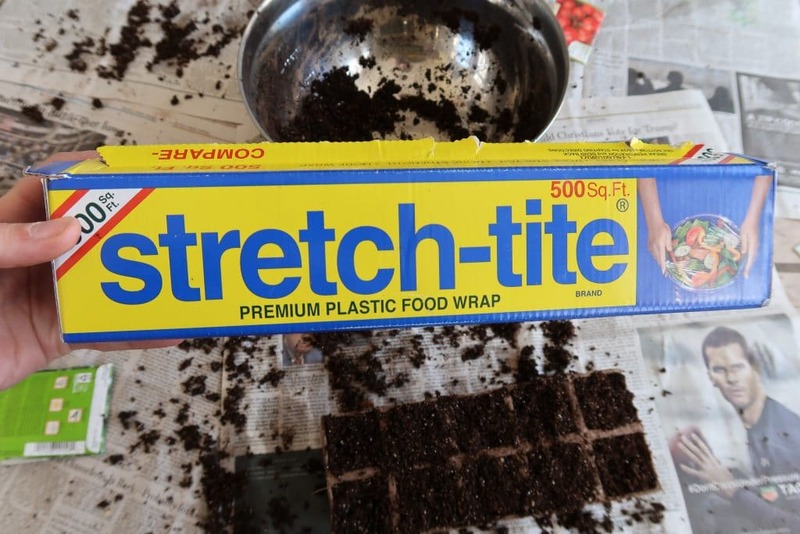 The only brand of plastic wrap I use is Stretch tite. Of course, I get it for a sweet deal at BJ’s. If you get frustrated with plastic wrap switch to this brand and you’ll never look back. First, add the seed starting soil to the mixing bowl. Then add very warm water. We did two cups for a 10 cup bowl. Let the kiddos use their hands and mix it up. This way you can really tell how wet the soil is. You don’t want it too wet, just enough it starts to stick together. Fill whatever seed cups you are using to the top with soil. I like to press down the soil and get any air out. The kids little adorable fingers are perfect for pressing a hole in the center. I’ve always dropped 3 or 4 seeds into each hole. Be sure your hole is not too deep. If your seeds are too deep they may not get enough energy to sprout. 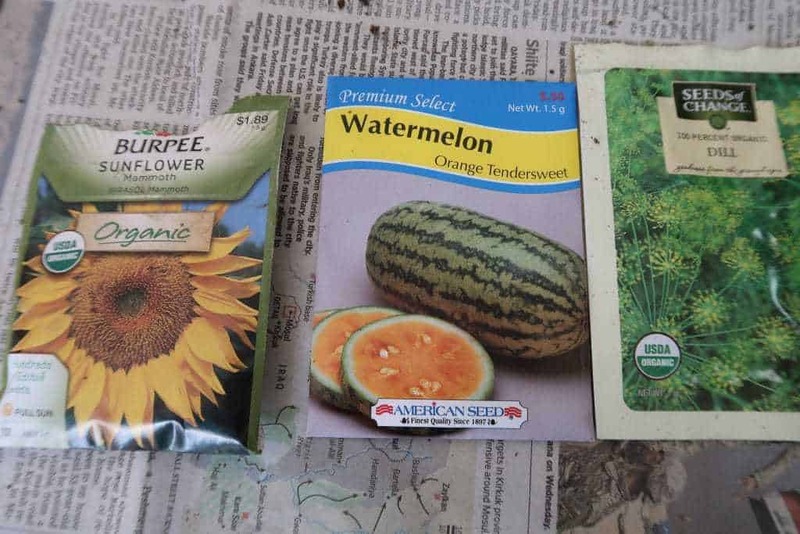 Always check the back of your seed packet as they will tell you specifics. When in doubt don’t plant your seed deeper than it’s diameter. This is where you will need to help the younger kiddos. Gently roll the dirt back over the top or sprinkle some dirt on top of the hole. Use plastic wrap and place in a warm sunny spot. Once the seeds start to spout you can remove the plastic. Then you will need to water on an as-needed basis. In the past, I have kept my seeds on top of the fridge. It worked to get the seeds started and the kitchen had enough light. Once I removed the plastic I placed under a skylight window in our bedroom. With our farmhouse now I start my seeds and leave them on the top of the hot tub. There is a ton of light and the hot tub keeps them toasty. Once they sprout I place in our atrium window in the kitchen. You may not have any of these same conditions but I encourage you to scope out a place that would work well for your seeds. Keep in mind they need three things, sun, food, water. Most seeds required 75-degree F to germinate. I’ve seen people start their seeds in a milk jug container and cover and put outside as long as they get direct sunlight. At this time of year being able to have direct sunlight is important. If this is not an option in your home you can still save money with seeds and use a heating pad just for seeds. I prefer to keep my seeds at 65-70 degrees. It’s important to rotate your tray of seeds. Especially if yours are near a window. South facing is preferred and you can always buy an artificial grow light. Just watch the height of your seedlings and the light. Always have the light as close as you can without touching the seeds. You can check out my frugal container ideas for starting seeds here. Use leftover plastic garden containers you previously bought flowers in. Or save yours from this upcoming season to start seeds in. 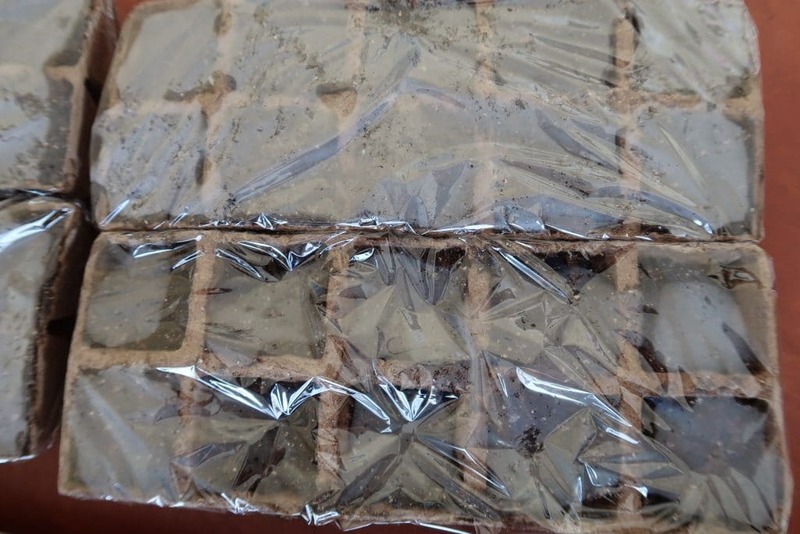 Egg cartons are a great way to start seeds indoors. Label your containers. Don’t think you will remember like I have done so many times in the past and then can’t! Use Yoplait Kids Plastic Cups/ or any other item in your kitchen to start your seeds indoors. Use Plastic wrap over each of your homemade containers until your seed sprouts to keep in the warmth. Be careful with watering. You won’t need to water at all while you have the plastic wrap on. You will want to mist the plants because as they sprout they are not strong. After my years of seeds and knowing I can easily over water I put all my pots into a tray and then pour water into the bottom of the tray. So the plants take in the water from the bottom. I use warm water to mix in with my seed starting soil. You must keep only one plant in each pot. When I started I thought it was a waste to just kill off one plant when I had two perfectly growing. It is a must now. Just clip the others down. Keep the one that is the straightest and looks the best. Enjoy! 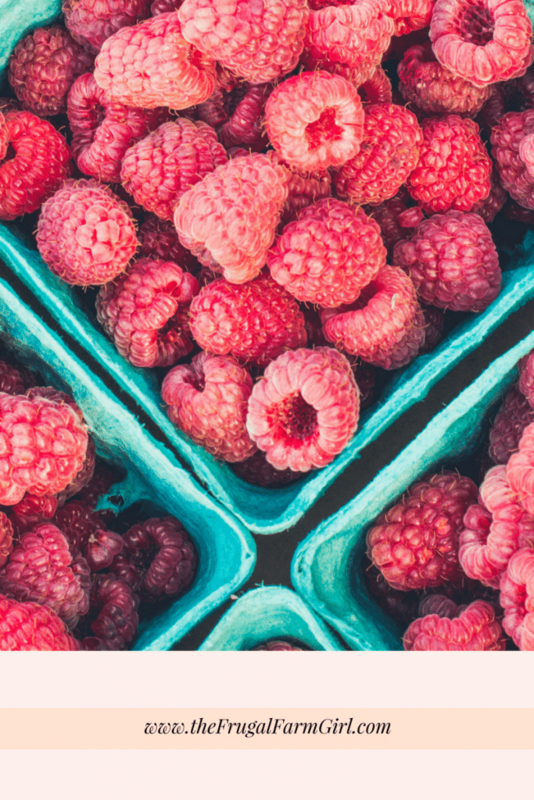 It is amazing to watch the whole process and enjoy the harvest! At my YMCA where they have a preschool, they placed the seeds in a clear 18 gallon tote with the lid. It appears that their plants did really well. I think I am going to try it. That’s a great idea! Let us know how it goes!